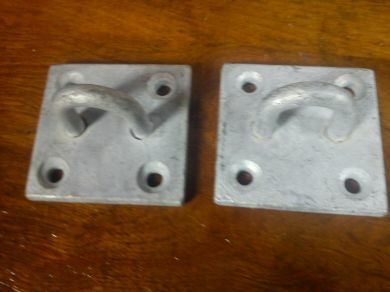 These are two staple plates in galvanised steel for a variety of applications. The staple is 30 mm high, and 27mm wide. If you require a different amount or size, please feel free to contact me.